We collect your personal data directly from you. In particular, you provide us with your personal information when you subscribe to the newsletter and when you are interested in contacting us through the contact form. 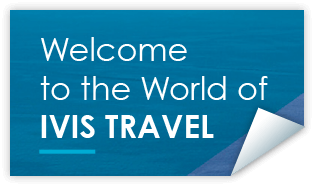 We use your personal information to respond to your requests for general information about Ivis Travel. Your personal data that we collect through the website is not shared or transferred to third parties. Our data centers, where your personal data is stored, are located in Greece, at Ivis Travel headquarters. The time for keeping your personal information if you subscribe to the newsletter service is until you let us know that you no longer wish to send you a newsletter (send an e-mail to ivis@ivis.gr). You have the right to obtain information about your personal data that we have stored at any time, in accordance with applicable law and without any charge. We may request proof of your identity before we give you this data. You have the right to request a correction – update of your details and Ivis Travel will immediately correct them. You have the right to request the deletion of your personal data. You have the right to request that Ivis Travel process your personal data. You have the right to request that Ivis Travel process your personal data. You have the right to request the transfer of your personal data to another organization / organization. Should your Ivis Travel personal data prove to be leaking, resulting in material or non-material damage, you have the right to complain to the relevant supervisory authority (Personal Data Protection Authority) To exercise your rights or if you have any questions or if you need help with exercising or understanding privacy choices, contact us by emailing us at ivis@ivis.gr or write to us at: Ivis Travel, Metropolis as 5, 105 57 Athens. Via www.ivis.gr, the user has the option, if he so wishes, to enter his email address in order to receive an Ivis Travel newsletter. In order to subscribe to the newsletter, the user registers only the email address he wishes to receive the informative e-mail without requiring his or her name to be registered at the same time and without the possibility of correlation between the registered addresses and the users, nor extension ability to identify the latter. The registered e-mail addresses for this purpose are not used by the Company for any other purpose or disclosed to third parties. The sending of the informative e-mail is done according to the provisions of Law 3471/2006 and the user is provided at any time the opportunity to interrupt this correspondence. 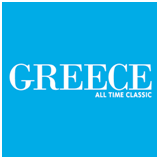 For any dispute arising out of the use of the website www.ivis.gr and the services provided through it, Greek law is applicable and the courts of Athens are competent.